Google Home is an incredibly useful tool The Total Beginner’s Guide to Using Google Home Like a Pro The Google Home is a powerful device. 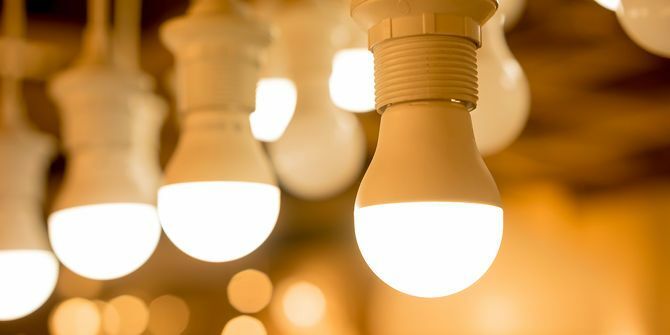 If you’re considering buying one or just brought one home, let us explain the basics of what it can do right out of the box. Read More for getting information, controlling your home, and more. However, if you’re like most smart speaker users, it’s probably inadvertently bothered you at night at least once. 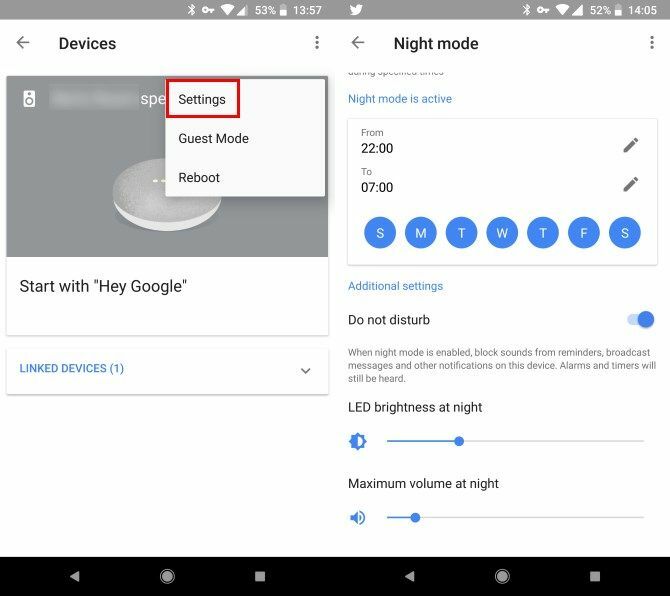 Whether you don’t want Google Home waking you up with stupid notifications or don’t want to have the volume blasting when you turn off your lights before bed, you should enable night mode. Open the Google Home app on your phone You Should Be Using the Google Home App and Here’s Why The Google Home app is the only app you need to control a multitude of smart home gadgets and settings. Navigate it like a pro with these tips! Read More . Slide out the left menu and tap Devices. Tap the three-dot button next to your Google Home device, and choose Settings. Option 1: Use the From and To fields to choose when night mode starts and ends. You can also toggle it off on certain days. Option 2: Enable Do not disturb, and your Google Home will not play and reminders, messages, or other notifications. Option 3: Use the bottom two sliders to change the LED brightness and Maximum volume at night. This ensures that if you were playing music earlier and forgot to turn it down, you won’t be in for a shock when you set your alarm before bed. Note that enabling this will not prevent Google Home from playing alarms and timers. Thus, this is a great way to make sure you don’t get woken up for something stupid, but your speaker will still wake you up when you asked. If you want to use this all the time, you can enable Do not disturb from the main Settings list. For more tips, check out our full setup guide for the Google Home How to Set Up and Use Your Google Home Just purchased a new Google Home? Here’s a step-by-step guide for everything you need to know to get it set up and working perfectly! Read More .